Did you ever wonder what could be the best dog food for Chihuahuas, especially when they have a picky appetite? Picky eating nature of Chihuahuas definitely makes it a lot harder for the first time dog owners to decide on a commercial dog food brand. While they are officially the smallest breed of dog in the world, according to American Kennel Club, Chihuahuas have specific nutritional needs. This could be met with properly balanced food dieting. They are entertaining and comical creatures, intelligent, friendly to other breeds and a quality pet as well. 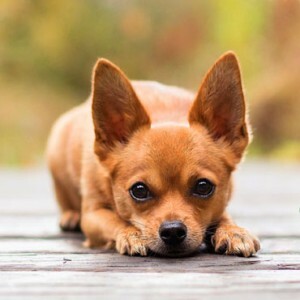 A Chihuahua is always active compared to other breeds and you can usually see them busy with indoor games and activities or doing those vertical leaps. In general Chihuahua is a healthy dog breed and has one of the longest lifespan among dogs. But still they have a tendency to develop certain health problems, if they are not given the right balance of nutrients in their daily intake. To prevent them from being malnourished or overweight, it’s vital to feed them nutritionally balanced diet. Let’s take a look at what makes a diet, best dog food for your Chihuahua and how much calories he needs to support his active lifestyle. Chihuahua comes in black, tan and other variety of colors. Unlike other breeds, they shed very less hair so they seldom need a trip to the salon. They are among the favorites in dog competitions and sports. To support his high energy level, a typical adult Chihuahua needs about 200-240 calories in his daily diet. However, older Chihuahuas only require 160 calories per day since they are less active compared to adult and young puppies. Take note that an adult dog eats depending on its size, metabolism, build and activity level. Just like humans, they don’t require the same amount of food. 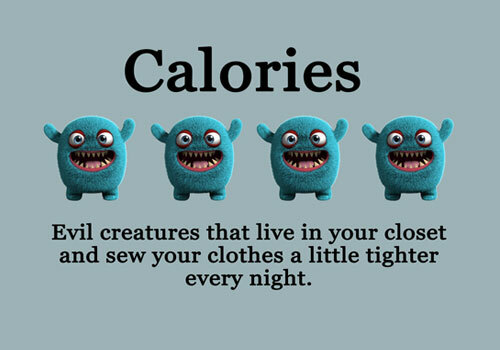 Note: Above estimated calorie requirements are primarily based on an average weight of Chihuahuas. Before making any significant changes in your dog’s diet, please consult with your veterinarian. In general, Chihuahua need 40-50 calories for every pound of their body weight. You see, they need lots of calories compared to other toy dogs, but their tiny bodies are able to incinerate insane amount of energy. Chihuahuas don’t require much exercise. However, you still need to monitor their diet since they tend to overeat and become obese. You should keep them busy with indoor games and other activities. Even a pampered dog needs regular walks, some exercise and playtime to keep them healthy. Providing good nutrition is essential for every growing puppy’s health as they are building muscle, bones and organs. However, pet supply stores offer various brands and types of dog foods such as canned, moist, chewy and dry kibble. Instead of getting the right food for your dog, the large selection makes it more confusing. Here are few important things to include in your Chihuahua’s diet. Protein is one powerful nutrient in any dog’s diet. It helps your dog build strong muscles and repaire old body tissues. Generally speaking, most dog foods come with good amount of protein, fat, vitamins, minerals and fibers. However, the composition of ingredients may vary depending on the brand. Always look for a dog food brand that has at least 25%-30% protein. However, many experts strongly recommend providing 35%-40% protein in Chihuahua’s diet to help him support overall health and physical growth. 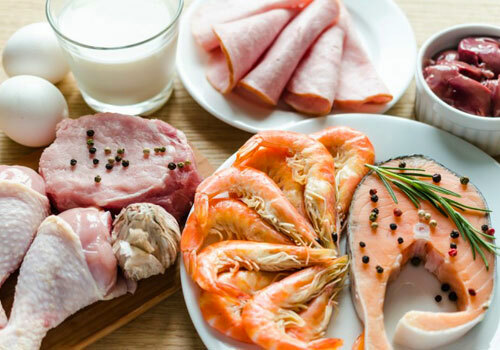 Make sure that you are giving him proteins that come from high-quality lean meat sources like chicken, fish, bison, venison and turkey. You can also opt for fish, lamb or beef meat ingredients. Choose whichever brand you prefer but confirm that high-quality meat is number one ingredient on the dog food label. 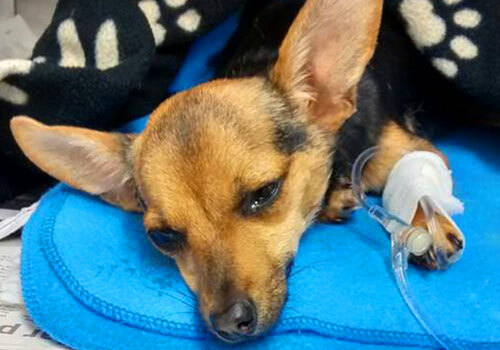 Proteins coming from meat by-products or bone meal are useless and might be harmful for your Chihuahua. This is lowest form of protein and may come from unknown sources such as road kills or slaughtered animals with diseases. Sometime this can come from expired meat in supermarkets too. Most dogs, especially the quirky and energetic types require fats in their diet as a source of energy. According to AAFCO, the minimum requirement of fat content for Chihuahua is 10%, but ideally you should provide him between 20%-30%. 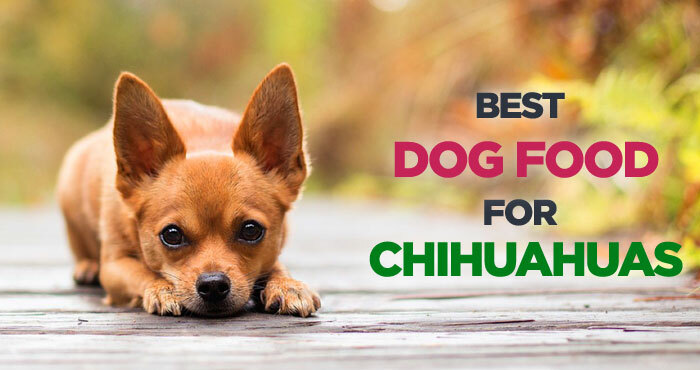 Since it also helps Chihuahuas maintain their shiny and healthy coat, a good amount of fat in their daily diet is essential for their full development and general health. Since humans and dogs share mostly on metabolic and nutritional needs, essential fatty acids are also important for their optimal health. These are “good fats” and will not cause obesity to your dog. Essential fatty acids include Omega-3 and Omega-6 which aid in regulating their cholesterol levels, boost their immune system and prevent skin related conditions. Another good source of energy is carbohydrates and although there is no minimum required level of carbohydrates defined for dogs, it is necessary to give them only high-quality sources of carbohydrates such as brown rice, barley, sweet potatoes and oatmeal. These carbohydrate sources not only promote good digestion for your dog but also keep him safe from most food related allergies. Remember that the key to achieving your dog’s ideal growth is by giving him balanced high-quality diet foods. And since Chihuahuas have tiny stomachs, avoid giving them wheat-based carbohydrates as well as soy and corn as these ingredients are not easy to digest. These low-quality grains are widely known as cheap fillers and cause many food allergies and gastric problems in dogs. High-quality dog foods are usually packed with a good amount of vitamins and minerals. These nutrients are essential for humans and animals alike. For Chihuahuas, it keeps their coat healthy. It also boosts their immune system and prevents anemia and other diseases. Vitamins such as A and E are antioxidants, which contribute to your dog’s skin and eye health. Animal liver is a good source of these vitamins. Foods with antioxidants are extremely beneficial for toy breed dogs since they are expected to have longer life span. Antioxidants will help them fight free-radical and keep them in good shape. Likewise, milk and eggs are good sources of calcium, which is essential for your dog’s teeth, bones and joints. It also helps in maintaining a regular heartbeat. On the other hand, green beans, pumpkin, broccoli, sweet potato and carrots are rich in essential nutrients. Choose a dog food that is packed with lots of fruits and vegetables to give your dog its daily nutritional requirements. Water is of utmost important part of any dog’s meal. It keeps your Chihuahua in good shape. It also helps your dog with proper digestion and nutrient absorption, so fresh and clean drinking water should always be available for him. According to experts, Chihuahua requires 4-7 ounces of water per day based on their weight. Basically, they need to consume 1 ounce of water for every pound of their weight. Likewise, water requirement is based on their energy and activity levels. Lack of water and dehydration is very dangerous since it keeps their body temperature normal and replaces body fluid they secreted. Water is also efficient in converting energy from carbohydrates and proteins. 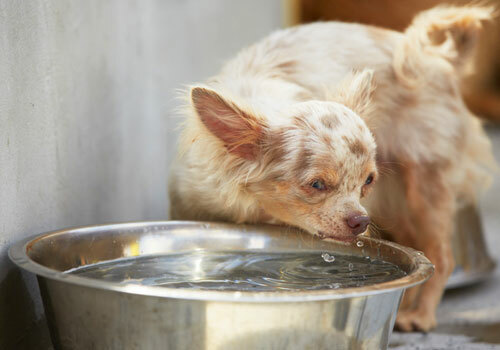 Without the proper amount of water, your dog will find it difficult to get rid of toxins and may cause them various health problems like organ failure and kidney stones. Deciding whether to give your dog canned or dry dog food or make homemade meals is quite tough. Whichever it is, make sure to avoid ingredients with low-quality proteins, such as meat by-products, bone meal or blood meal. These are not only the low-quality source of proteins but also may impose health risk. Always choose a dog food with whole meat as its main ingredient. If possible find a dog food with meat meal as it is essentially meat without moisture and contains 300% more protein than raw meat. Wheat, soy, corn and other low-quality grains should also be eliminated since these can cause food allergies and indigestion. Artificial preservative, food coloring and food flavor are also a big no for dogs as these are known causes of allergic reactions and have zero nutritional value. Know that the main element which separates poor quality and high-quality dog food are the “fillers” it contains. The Chihuahua’s digestive tract is specifically designed to absorb carbohydrates, large quantities of proteins and not fillers. This is very common not only for Chihuahuas, but also in other dog breeds. Take note that this is not usually the result of a sudden change in their diet. Food allergies take some time to develop. 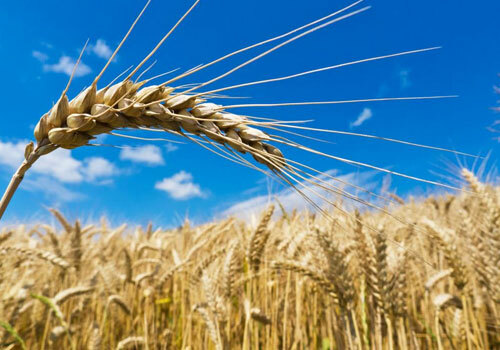 Normally the allergy is caused by foods with high grain content such as corn and wheat. The symptoms may include recurring ear problems, hair loss, and infection and itchy skin. A food trial is the best method to determine which food causes allergy to your dog. The long term solution would be eliminating the food causing allergy to your dog’s diet. Proper feeding is very important for toy dogs since they can easily become overweight. They can acquire various health diseases such as diabetes, hypoglycemia and joint injuries when they are overweight. Whilst they burn calories faster compared to larger breeds, their nutritional needs and activity level change as they grow older. Avoid giving your dog too much treats as these foods have higher sugar, milk and fat content that may cause them to become overweight. Strictly follow a meal schedule for your dog to avoid overfeeding. Give them proper nutrition based on their nutritional requirements to prolong their lifespan. Chihuahuas have soft teeth, which make them prone to tooth decay and infection. Symptoms include pain and discomfort, chronic bad breath and weight loss. If left untreated the infection may spread to other major organs such as the lungs and heart. 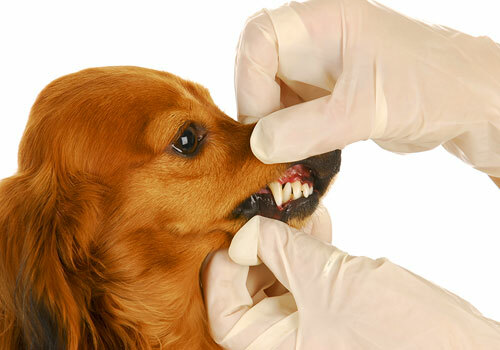 While certain dog toys and dental-specific treatments can help loosen the plaque, these are not sufficient to clean your dog’s teeth in the way that it will keep their gums strong and healthy. Professional scraping and brushing are highly required to prevent tooth decay and infection. Good oral hygiene should be introduced as early as possible. Hypoglycemia – A medical condition in which sugar levels in blood drops very fastly. Legg-Perthes Disease – A disease of the hip joint caused by improper blood circulation. Retinal Dysplasia – An irregularity in the dog’s retina. Kneecap Dislocation – Dislocation of kneecap from its position. Collapsed Trachea – A condition in which the trachea partially collapses or flattens out. To prevent your Chihuahua from becoming overweight, you should follow the specific amount of food and feed them according to age and level of activity. From the birth to 4 weeks of age, mother’s milk is the best food for Chihuahua puppies since it is packed with all the required nutrients and antioxidants. Likewise, their small tummies can easily digest and process the milk. Apparently the dam can feed them as much as they want. As soon as puppies turn 4 weeks old, they should be given protein-rich puppy food properly mixed with milk or water to make it easier for them to eat and digest. Puppies should be fed at least 3-4 small meals every day. Take note that puppy food is different from an adult dog food and has more nutritional value to help them with their growth. 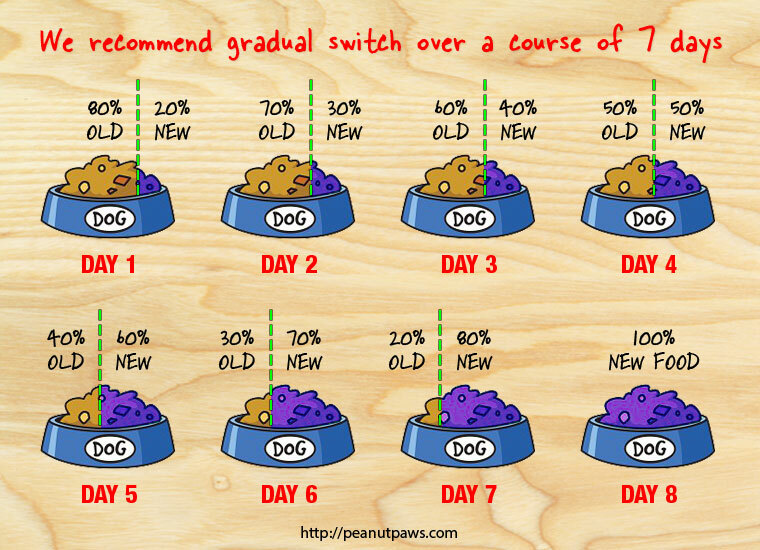 After 2 months of age, you can now slowly introduce puppies to solid dog food and feed them several times a day. Free feeding should be allowed at the minimum level but treats should be used as reward based training purposes only. Small dog breed pups usually do better on canned dog food since it is easier for them to digest, but as they grow, you may try to switch over to other dog food gradually. When you change the dog food to a preferred brand, it should be done gradually over a course of 8-10 days to avoid any stomach upset. Both old and new dog food should be mixed well together with the ratio of newer brand increasing every day. As soon as your dog turns 1, you should feed him according to a proper diet plan. Free feeding should be avoided at all costs. Since Chihuahuas have little tummies so they can’t eat a lot in just one sitting, but they have very fast metabolism, meaning, they can quickly use up their energy from the foods they eat. To avoid high blood sugar levels, it is important that they should be fed multiple small meals instead of one or two big diet. As your Chihuahua grows, you can notice how its body handles its food intake. Usually ingesting a meal means more bathroom trip for them. Wellness CORE Natural is a high-quality dog food that fulfills all the requirements of a nutritionally balanced dog food for Chihuahuas. It comes with 34% protein, 29% fat and 37% carbohydrates. Main source of protein is whitefish, herring, salmon and menhaden fish meal. These are some of the best quality protein sources for dog food. Since it is a grain free dog food, it does not contain inexpensive fillers like wheat, corn, soya or gluten. What I really like about this dog food is that there are no meat by-products, artificial preservatives, flavors or colors. 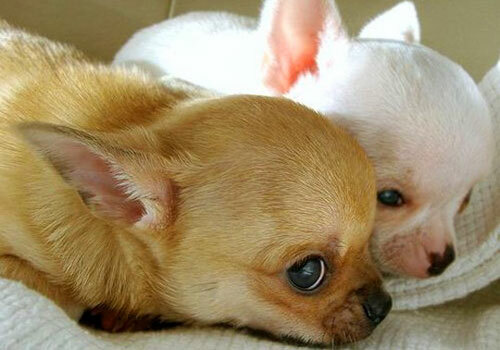 It is a perfect dog food for Chihuahuas and other small and toy breeds. 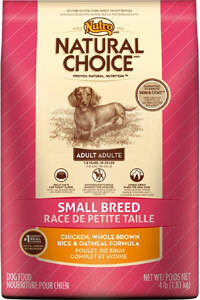 It is ideal for small breeds that have small mouths because it also comes in a small kibble size. Wellness CORE Natural is a grain-free animal meat-based dry dog food which uses high quality sources for animal meat protein and fish. 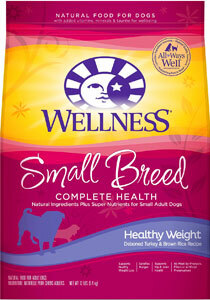 It is one of the best dog food for available for Chihuahuas and other small breeds. It earns our 5 stars rating and highly recommended dog food. 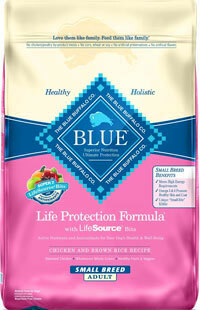 Blue Buffalo Life Protection is a high-quality dog food for small dogs, such as Chihuahuas, Yorkies and other toy breeds. It’s completely grain free and has 28% protein that comes from quality sources, such as deboned chicken, chicken meal and menhaden fish meal. It contains 33% of fat which is great for healthy coat and shiny hair. The company is well known to avoid any type of low-quality ingredients, such as meat by-products or bone meal and inexpensive fillers like corn and soya. They are not only low in calories but also hazardous for your dog’s health. Barley, brown rice, oatmeal, potatoes and peas are the main source of carbohydrates in this food. It also packs with variety of fruits and vegetables which fulfils the requirement of necessary vitamins and minerals. Blue buffalo life protection is a grain free animal meat-based dry dog food that has a significant amount of fruits and vegetables. It is great choice for Chihuahuas, thus it earns a 5 star rating and a highly recommended dog food status for small breeds. Chihuahuas are small breed with specific dietary needs. They should be fed nutritionally balanced dry dog food to support their physical and mental growth. They need constant monitoring over their diet as they tend to overeat and become obese. If you are looking for more, we have also posted about what is the best dog food for Boxers and what to feed your German Shepherds. 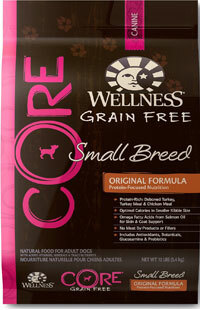 Wellness CORE Natural Grain Free Small Breed was reviewed by Brian Hersh on Jan 30, 2016. Can dogs cry tears of sadness? And if they can actually cry tears, why do they cry? It's time to bust some myths and shed light on reality about dog tears.